Wild flowering - Women who changed the world through art! Join us for a special Anywhere theatre festival performance in the Caloundra Regional Gallery on Saturday May 19! This show draws upon Kathleen McArthur and Judith Wright’s own writings to tell the story of their friendship, art and activism. Featuring the talents of renowned actors Kate Wilson and Rainee Skinner, the ‘Wildflowering’ script reveals the trials and achievements of these pioneering artist/activists. 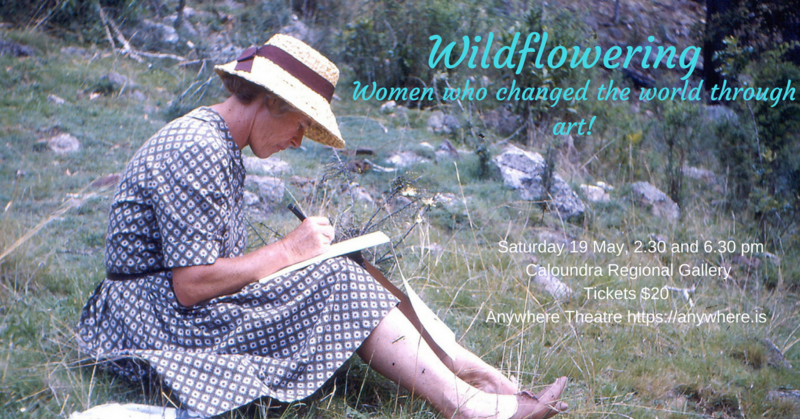 The performance will be a rehearsed reading of a script crafted by Sue Davis and presented in collaboration with Caloundra Regional Gallery and the ‘Wild/flower Women II’ exhibition.